One Owner with NO ACCIDENTS. Optional 3.5 litre ECO Boost with Big boots, Chrome boards and Bright bar. 2- Inch Lift with LT325/65/R18 BF Goodrich Tires AND original tires included with roof mounted Light bar (total value $3400). Enjoy our "YOUTUBE" walk around. Equipped with the XTR Group, 136 litre Fuel Tank, Chrome Step Bars, Rear Back Up Camera,7000 GVWR Package, 3.55 Rear Electronic Lock RR Axle, Trailer Brake Controller,Pro Trailer Back Up Assist. Available low rate financing with extended terms. PLUS assist customers with BRUISED credit. 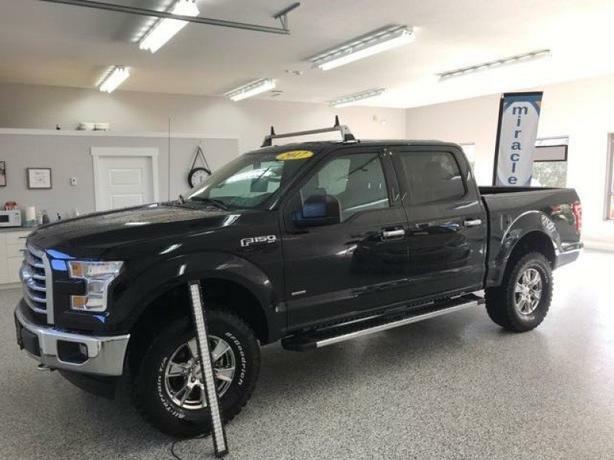 You will be driving a newer vehicle ( like this F150 ) at a lower rate while REBIULDING your credit. Please do not hesitate to contacts for CarFax and FULL Mechanical Inspection. We offer a low pressure, professional buying experience.